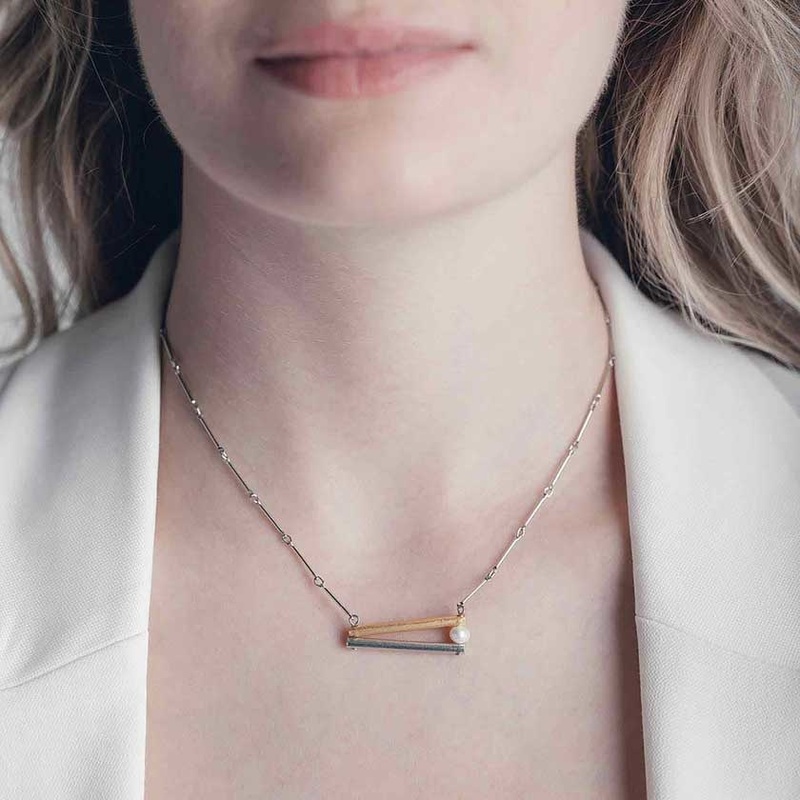 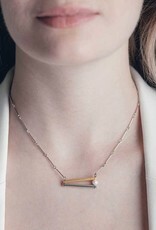 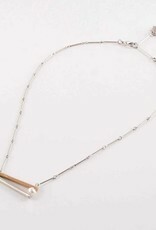 This unique necklace incorporates the freshwater baroque pearl with Anne-Marie Chagnon’s classic jewelry metals, gold, bronze, and pewter. 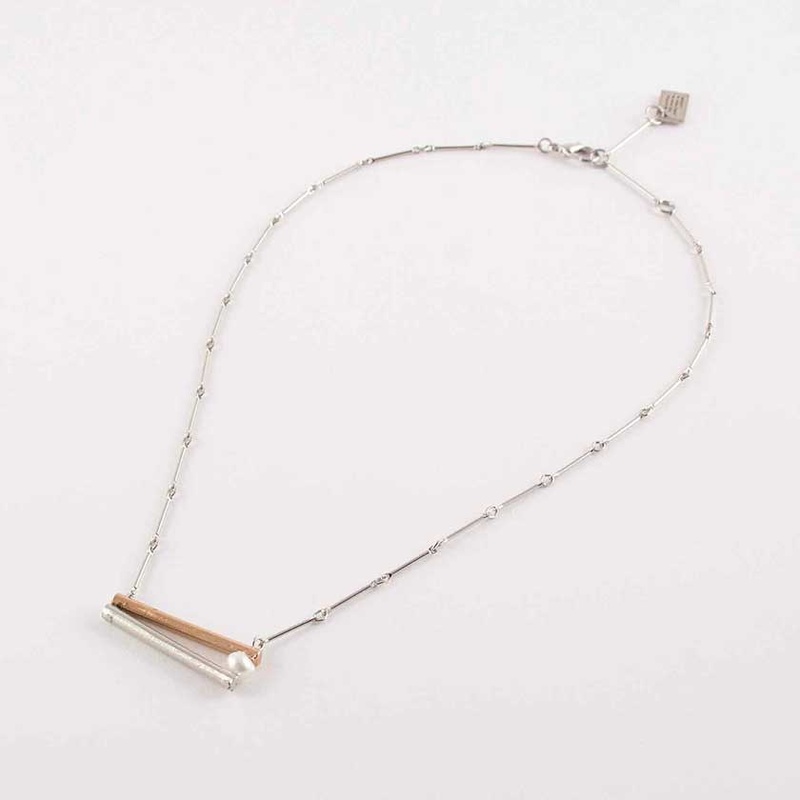 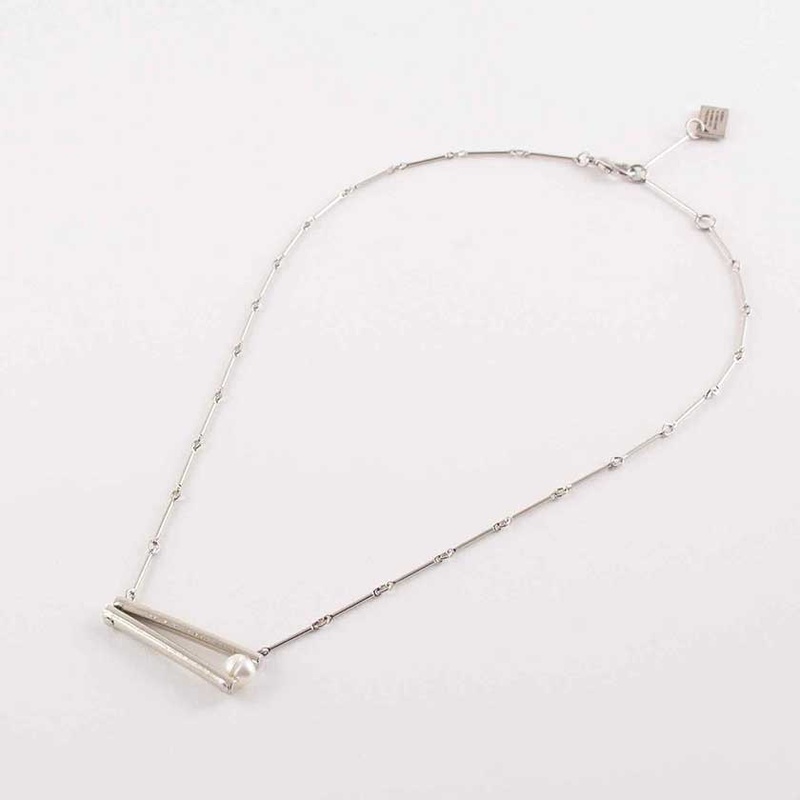 A delicate balancing act between line and point, this piece of artisan jewelry reinvents the pendant on a short-linked chain, secured with a lobster clasp. 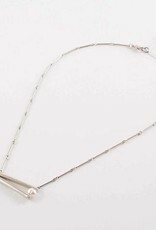 Material : pewter, pearl, rhodium-plated chain.